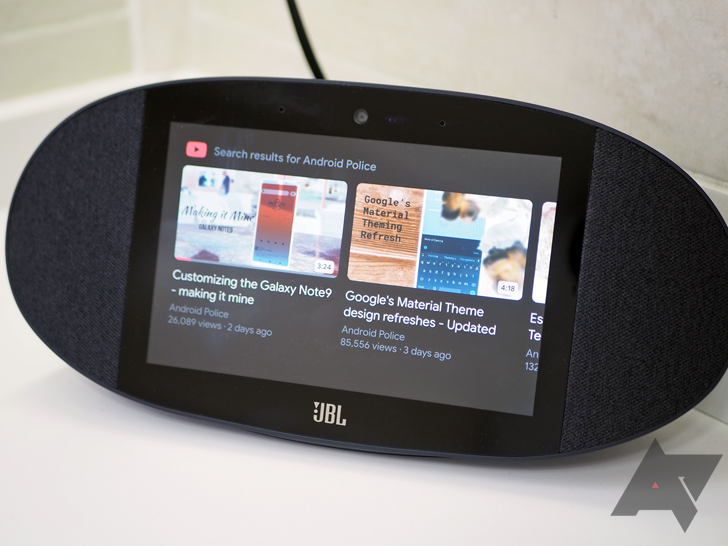 This article is part of our Smart Display Tips series. 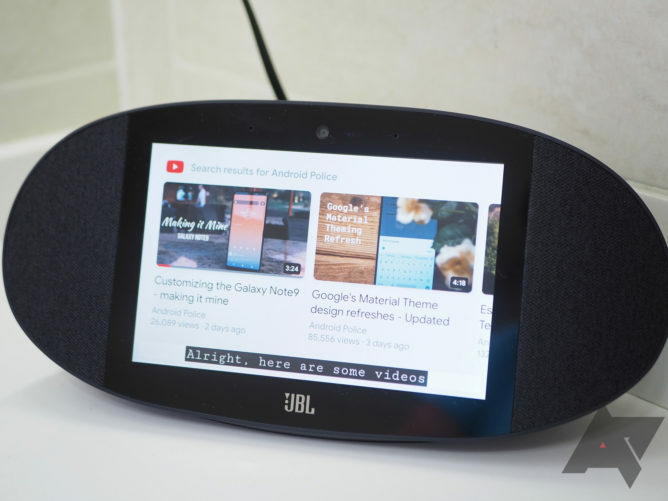 Whether your already bought the Lenovo Smart Display or JBL Link View, or you're thinking about getting Google's rumored Home Hub, you may be wondering whether that gadget — like many others in your life — offers any accessibility settings for people with disabilities. The answer is yes. 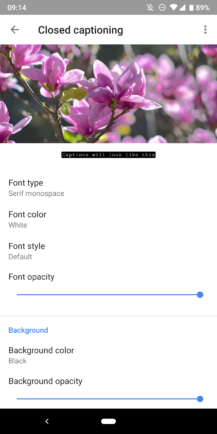 To get to the accessibility settings of your Smart Display, you need to head over to the Google Home app, tap the Devices icon on the top right, and scroll to find your display. 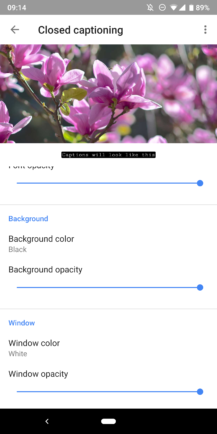 Tap the overflow button on the top of the card and select Device settings -> Accessibility. In there, you'll find audio cues like the ones already available for Google Home and other Assistant speakers, but also much more. You can turn on/off audio descriptions for what's happening on the screen, as well as TalkBack, Google's screen reader. You can also set up various color corrections, invert the colors completely as in the image at the top of the post, have the screen magnify with a triple tap, choose high contrast text (large borders around some portions of text), and enable closed captions. 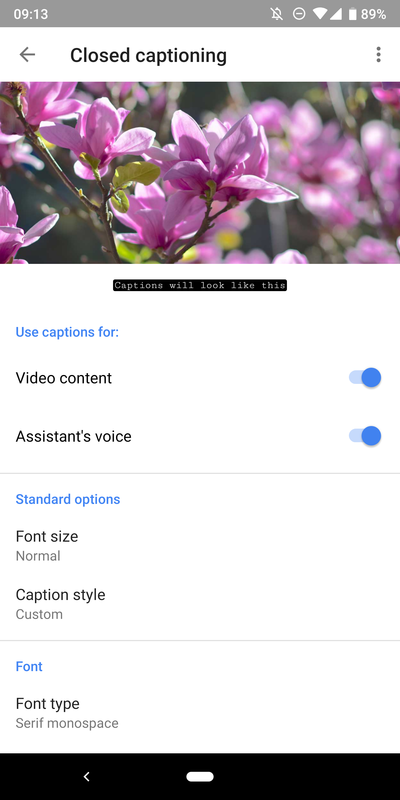 Captions can be separately turned on for video content (so you don't have to enable them on each YouTube video) as well as for Assistant's voice. 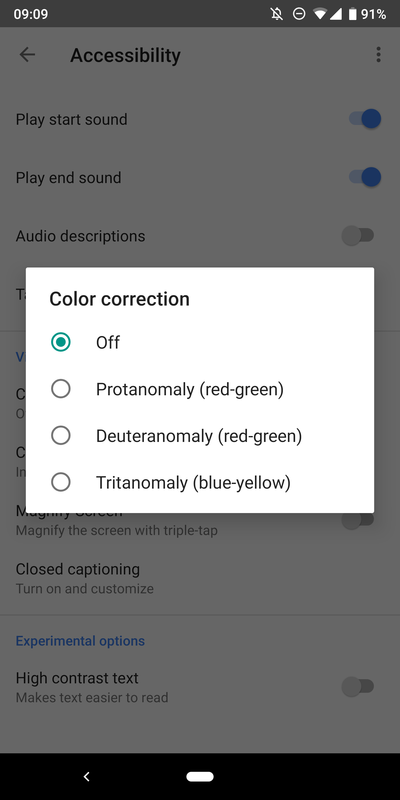 Those who are hard of hearing or deaf could then read everything Assistant says. Captions are customizable with different font types, sizes, and colors, so you should easily find a style that suits you well. 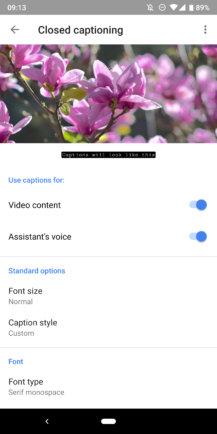 Closed captions for Assistant's voice. 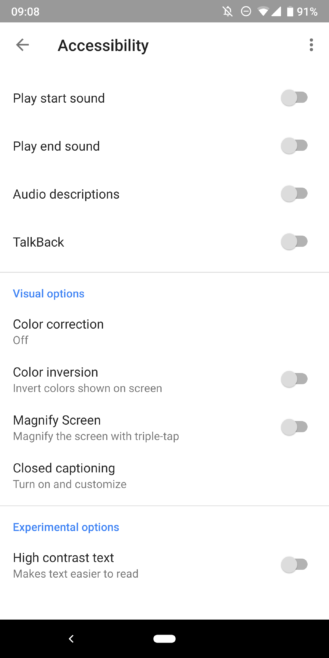 On my JBL Link View — as well as all Assistant speakers in my house — I keep the audio cues for Assistant turned on, that way even if I'm not looking at the speaker, I know when I've correctly triggered it and when I failed to do so. I tested a few of the other display-specific accessibility settings and found the color inversion mode awesome for some of the UI elements (making me wish for a proper dark mode at night) but obviously terrible for videos and visual content. The captions worked well though, and I think they'd be very handy for someone who can't easily hear or understand Assistant's speech.